Q: Could you provide our readers with a brief introduction to Datarama? A: We combine technology with human analysis to produce holistic business intelligence solutions. Ultimately, our aim is to support the work of our clients through comprehensive due diligence, KYC, as well as investment-focused research, in a faster and more efficient fashion. Q: Can you give us insights into your solutions? A: We leverage on technology to help process the vast amounts of structured and unstructured data we encounter in our research. It has allowed us to sift through high volumes of data and information fast, and translate the information into useful analytics and business insights for our clients. The Datarama platform also features a powerful mapping tool that allows our clients to draw insights into the vast networks and ecosystems of companies and individuals they are interested in, so that they can leverage on these links and information to make better business decisions. A: Information available on the Datarama platform is an amalgamation of a number of rich datasets that allow our clients to get a full comprehensive look into their business prospects, fast and efficiently. Our web crawlers and data protocols not only trawl major proprietary databases, news sites, and business directories, but we actively seek out alternative sources of data such as ICIJ’s Offshore Leaks Database, the Panama Papers, blogs with strong predictive track records on political and economic matters, and even databases containing information on religious, club, and grassroot affiliations. Other traditional or “pen-and-paper” risk consultancies claim to provide analysis on content gleaned from these sources as well but our value proposition is that we are cheaper, better, faster, and more comprehensive – as our functions and protocols are tech-enabled and therefore automated to significant degrees. Q: What are the data challenges when investing in Myanmar? A: Compared to other countries in ASEAN, corporate information of companies in Myanmar, essential to the deal, is not easily accessible via the public domain. Free information available on the Myanmar Directorate of Investment and Company Administration (‘DICA’) website is insufficient to ascertain the shareholding structure of companies or provide insights on its ultimate beneficiary owners (UBOs), neither does it give any indication on operational size. Other information such as financials of private companies cannot be retrieved from the public domain. Financial information gathered from potential partners themselves are also likely to be inflated, with little recourse for verification. Media research on companies and businessmen in Myanmar is also limited due to the highly regulated nature of its media landscape and checkered press freedom record. This is where Datarama’s unique data expertise in emerging markets comes in. Our senior team’s professional experience in conducting corporate investigations on-the-ground can assist our clients in gathering hard to obtain business intelligence in Myanmar. We help clients make sound investment decisions by informing strategy, conducting background checks and due diligence on potential partners, and updating them on wider regulatory and political developments in these jurisdictions. A: We aim to scale up our product in terms of the content that is available in the Datarama platform, as well as the technology that powers its access and display. 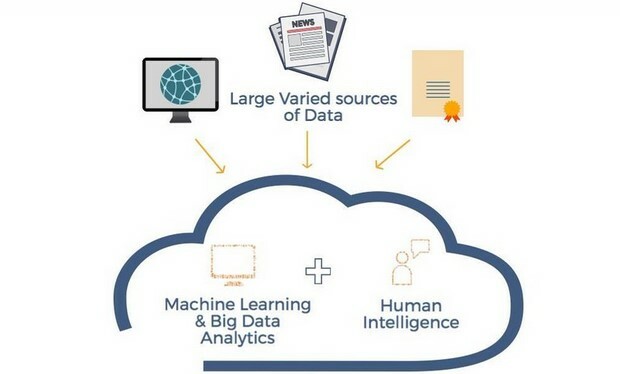 We are constantly on the lookout for unique datasets that can provide added value to our clients in new and novel ways. We also aim to reach a point where more of our processes can be further refined and automated. As a player in the nascent digital risk consulting space, we have to always keep up with changes in technology so we are kept aware of what innovations and new ideas can help make our processes better. To keep our edge, we have to think out of the box and apply technology that is not typically used in this field, or seek out alternative data sources and adapt these to risk consulting. We are closely monitoring the exponential progress of AI and will leverage on relevant technologies and processes, combining these with localised knowledge and a human touch to provide our clients with the superior service that they deserve. We are rapidly accelerating our growth into new markets. At the moment, our focus is largely in Asia, however the aim is to go global in the coming years.